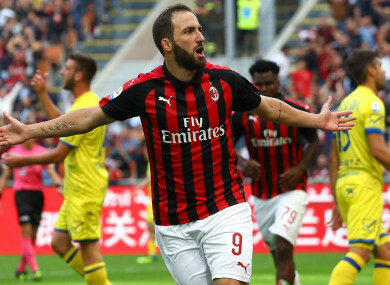 Gonzalo Higuain departed Juventus for AC Milan in August, though he would not have done so if it was up to him. AC Milan striker Gonzalo Higuain. Email “'I did not ask to leave... They kicked me out'”. Feedback on “'I did not ask to leave... They kicked me out'”.